Arsenal manager Unai Emery has revealed that he was left ‘angry’ with himself ​after his side’s embarrassing first-half display led to Wolves inflicting a 3-1 defeat on the Gunners on Wednesday evening. Having fallen to a shock 3-2 loss to Crystal Palace at the Emirates on Sunday, Arsenal were in dire need of an improved performance and result in the race for the top four. Instead, the north London side found themselves three goals down at the break courtesy of strikes from Ruben Neves, Matt Doherty and Diogo Jota, before Sokratis added a late consolation for the visitors. Speaking after the game about how he felt at half-time, Emery revealed (as quoted by the ​club’s official website): “I usually am very disciplined with myself. I am angry with myself. We didn’t do the game plan like I wanted. I am not angry with the players, I am angry with myself. “My idea and my style is to look in front and find a solution. Not to find who the player is who is playing worse or why they are not doing all we spoke about before. With the defeat taking the destiny of finishing in the top four out of their hands, Emery admitted that securing Champions League football via the ​Premier League would now be ‘difficult’. The ​Arsenal boss added: “Generally we are now disappointed, but we need to also look at all the season and we are not in our own hands now because we lost this possibility today, but we need to prepare the best as possible for Sunday’s match against Leicester. ​Niko Kovac was full of praise for both sides as Bayern Munich beat Werder Bremen 3-2 at the Weserstadion to reach the DFB Cup final on Wednesday night. The game was a rematch of the two club’s Bundesliga match just four days prior, in which Bayern secured a 1-0 win, with chances falling for either side in a highly entertaining semi final encounter. Goals from Robert Lewandowski and ​Thomas Muller put Die Roten in the driving seat, yet the visitors were pegged back courtesy of two goals within a minute from Yuya Osako and Milo Rashica before Lewandowksi sealed the win from the spot ten minutes from time. “Both teams turned in a great display. On the balance of the chances I’d say we deserved to progress, taking everything into account,” Kovac said on the ​club’s official website. A pulsating first half never let off, despite Lewandowski’s simple finish settling Die Roten nerves, and even after Muller’s second seemed to seal the deal, the hosts struck back with a quickfire double to stun the traveling faithful. 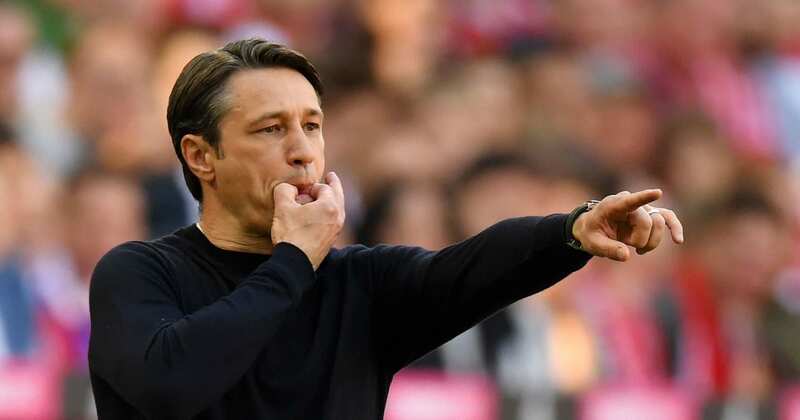 Kovac was critical of his side’s defensive reaction after taking the lead, and was equally unapproving of their negative approach after scoring the second, but confessed the home support played their part on the night. Wednesday’s result now means Bayern are in the driving seat to claim a ​Bundesliga and DFB Cup double this season, leading ​Borussia Dortmund in the league and setting up a tie with RB Leipzig in the DFB Cup final. ​Chelsea superstar Eden Hazard is seemingly edging closer and closer to competing his dream summer transfer to Real Madrid after a new report claimed to reveal the enormous wages he is expected to be offered by Los Blancos. It was reported earlier this month that Real planned an opening offer of £85m, while eager Spanish outlet Marca ​even claimed a €100m (€86m) was just days away from being ‘official’. ​Manchester United manager Ole Gunnar Solskjaer has admitted that their local rivals Manchester City are on a different level as it stands. City returned to the top of the Premier League after beating United 2-0 at Old Trafford thanks to second half strikes from Bernardo Silva and Leroy Sane, with David De Gea being questioned on both goals. The Red Devils only managed one shot on target during the defeat, which was their seventh in nine games, having failed to score in their last four fixtures. “Towards the end you can see the difference,” Solskjaer said, as quoted by the Manchester Evening News. He added: “I thought we held our own, the players came out with a great attitude, we got a reaction from them, we got a reaction the crowd, we had some half-decent chances, they had probably the biggest one with ​Sterling, of course, just before half-time. “But at half-time we felt we’re still in the game and then the more the game went on after they scored you could see the difference. “Of course you’re at home against a very good team but at home you want to win games like this. But they’ve set the standard and over the last couple seasons they’ve been best team in country and that’s the challenge for us to get to. On Sunday Manchester United didn’t want it enough. On Wednesday they wanted it, but were miles away from being good enough. Both are separate problems, neither are easy to solve, and nothing so far suggests that this club is clever enough to solve either. Man Utd remain in sixth, with a place in next season’s Champions League in serious doubt, as they currently lie three points off fourth placed Chelsea with just three games remaining. ​Liverpool fans would never ask for anything from rivals Manchester United unless it was absolutely necessary. On Wednesday evening, Reds supporters needed the necessary and somewhat unlikely to occur; they needed a reeling and hapless United to beat Robots FC and the generally amazing Manchester City. Despite a positive start from the hosts, ​City’s superiority emerged and they eventually ran out 2-0 winners at Old Trafford thanks to goals from Bernardo Silva and Leroy Sane, taking a firm grip on the Premier League title race in the process. ​Liverpool have led City over the past month or so, by virtue of playing their games a day or so before their rivals, but Wednesday knocked them off top spot with both sides having played 35 games. As you can probably imagine, Liverpool supporters weren’t thrilled with the result and they now need either Burnley, Leicester or Brighton to put a spanner in works for the sake of their bid for a first title since 1989/90. ​​There were also a few mentions for United goalkeeper ​David de Gea, who made another mistake to follow up his recent shaky displays at Barcelona and Everton. The Spaniard let a relatively routine Leroy Sane effort squirm through him, and fans of the red side of Liverpool lost the plot a wee bit. Even from the neutrals, De Gea still copped a fair bit of flack. Superb from Sterling, terrific from Sane, poor from De Gea. ​​So, as Radiohead’s Thom Yorke was sang in a song from the 90s you’ve probably never heard of, where do we go from here? Well, City have games against Burnley, Leicester and Brighton on the horizon. Liverpool take on Huddersfield, Newcastle and Wolves. Both sides have been exceptional this season and it’s hard to see either dropping points in their remaining fixtures, but stranger things have happened in the Premier League.